Once A Cadet, Always A Cadet! The buffet lunch in the Widener Pride Cafe will cost $12.00 providing you pay online. More information can be found. Click Here or on the above image to learn more and pay for lunch. 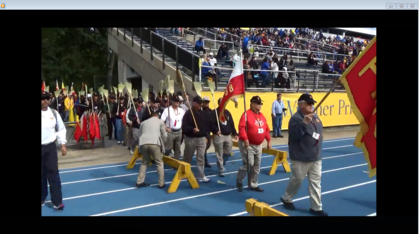 October 13th our PMC c'68 Marched onto the Field - Stay tuned as we work to deliver the Memories of our 50th Anniversary Celebration. Click here or photo below for more memories. Our February 2019 Newsletter is posted. 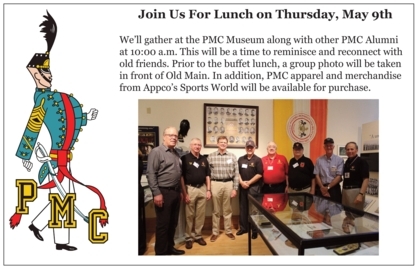 Read about the May 9th PMC Alumni Lunch and our September 2020 Return to Gettysburg! 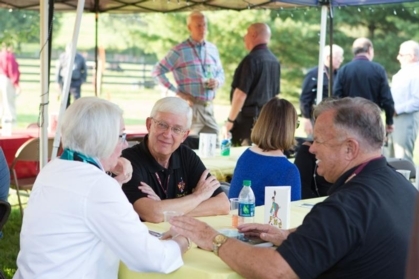 Class of 1968 gathers in Gettysburg, PA, September 2017 to reconnect with old friends. This web site has been created just for you. 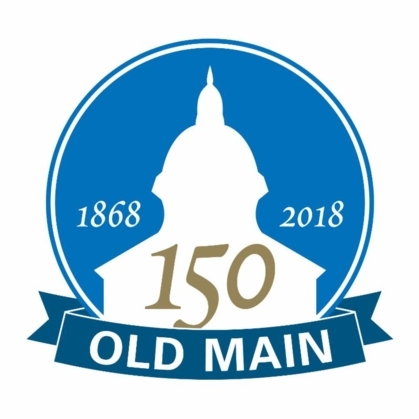 We hope you will join and return to the site often in order to stay connected and to see updates regarding our 50th Reunion and our 2020 Gettysburg Plans..
You are encouraged to start by reading the information contained in "First Time Visitors." ** Written by PMC Professor Homer C. Nearing, Jr. with music by Charles A. Bartlett, PMC ’54. Pennsylvania Military College-1968 is an association which is not affiliated in any way with Pennsylvania Military College or its successors, including Widener University, Inc.